Hello, kids and grown-ups! 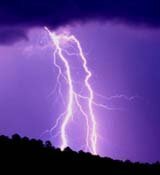 Click below to get information, see pictures and graphics and find links on tornadoes, lightning, hurricanes and storm chasing. Kidstorm is a production of Sky Diary, Chris Kridler's site devoted to storm chasing and weather photography. Every effort has been made to ensure the accuracy of the material here, but not all sources agree on some aspects of storm science, and in the interest of simplicity, not every detail is included. Thanks to savvy folks for reviewing select Kidstorm pages to help make them better, including Jim Leonard, Dave Lewison and Tom Warner. Comments are welcome, but before sending storm questions, see if they are answered on the Kidstorm pages or on the other sites linked from each page.